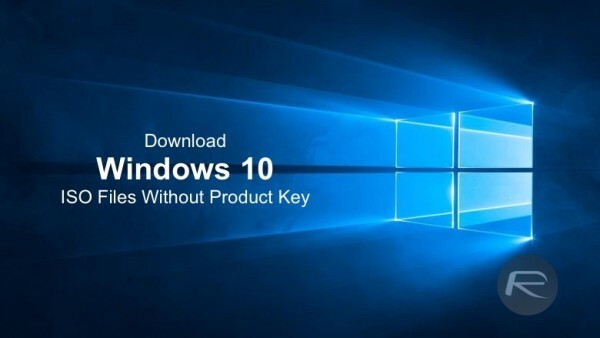 Here’s how to download official Windows 10 Pro ISO file legally without needing any product key directly from Microsoft. More info on this is detailed in the post below. We understand that the majority of users would have downloaded Windows 10 directly through ‘Windows Update’ as part of the free-of-charge upgrade process when it was available, but now that it isn’t, and for those in need of an official Windows 10 ISO file, we are here to help you out. Microsoft has clearly attempted to make sure that all bases are covered as far as installation options are concerned. Although the company started initiating pre-downloads of the operating system to registered PCs approximately 24-hours before the official launch in late July of 2015, it does appear to recognize that some consumers would require an official ISO image of the Windows 10 platform whenever the need to manually install or reinstall the OS on a formatted machine arises. The ISO image will of course allow for the creation of a bootable USB flash drive or DVD, to serve as an installation source. Best of all, you don’t need any product key to download the ISO media file from Microsoft. Just about anyone can download it officially from Microsoft as long as they have an Internet connection. 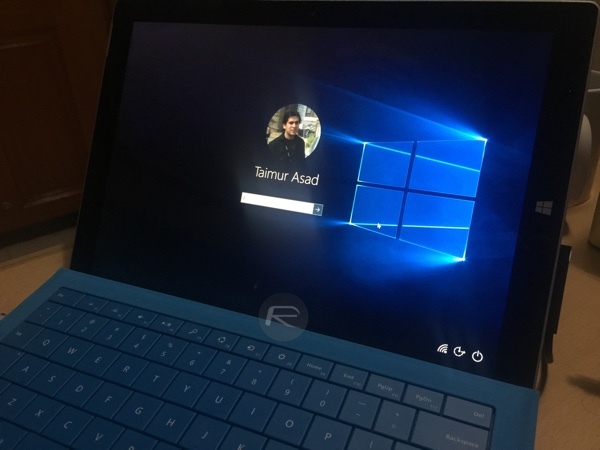 Though it is important to note that genuine Windows product key will be required for activation purposes during or after installation. An active and reliable Internet connection. Enough storage space available on the computer being used to download the ISO. A blank USB storage device or DVD with at least 4GB of space for the creation of media. There’ll also be the requirement for a DVD burner if that’s your chosen medium. Make sure your PC meets all other Windows 10 requirements, you can check those here: How To Prepare Your PC For Windows 10 The Right Way [Guide]. As mentioned above, if you are doing a clean install, a genuine Windows product key will be required during installation process. Here’s guide on clean installing Windows 10: How To Clean Install Windows 10 On Your PC The Right Way [Guide]. If all of those criteria are met, then here’s what you need to do. Step 1: First goto Microsoft’s official Windows 10 Disc Image (ISO) download page here. Step 4: Once done, you will get two options, to download in either 32-bit or 64-bit. Select the preferred option and then simply download it. It really couldn’t get any simpler, and it’s great to see that Microsoft has attempted to cover all avenues with this Windows 10 release. Update x1: The above mentioned method now works with the latest release of Windows 10 as well, which is Windows 10 Anniversary Update. Update x2: We have tested and can confirm that the above method of downloading ISO files now works for the latest Windows 10 Creators Update as well. Update x3: With the release of Windows 10 Fall Creators Update, we have tested and can confirm that this guide works with this latest Windows 10 release as well. Update x4: This method has been tested and now confirmed to be working with the new Windows 10 April 2018 Update. Update x5: This method has now been tested and confirmed to be working with latest Windows 10 October 2018 Update. Your baseless insult is meaningless since I already told you that you know nothing. Whatever you sleep at night you sad little troll. Oh and I don’t argue with trolls so…..bye dickless!!! You’re so triggered you had to answer twice, wow. Anyways, I was wrong, you do know something, pre-school level insults. So there’s that. The tool only gives you the preinstalled version of windows 10. Meaning it just replicates the version you have currently. Will the genuine product key for windows 7 that allowed me to update to Win 10 be OK to do a fresh install? It might work, but there are no guarantees. There is a digital license generator out there though. You are getting the upgrade tool? You can use that to download Windows 10, any edition. There is a digital license generator which actually activates Windows 10, almost all editions. Open the website with a user agent changer (Chrome has one built in, to pretend it’s the Android variant of the browser, hidden somewhere). Then you should see the options. Or if you’re on Linux, it’s for the site. You can always get another version. There is the media creation tool and, if you use a user agent changer (Chrome has one built in to pretend it’s the Android version) you can get to the ISOs themselves. The ISO contains multiple editions. Version 1809 is latest, I’m pretty sure. Microsoft keeps updating it. Always amazes me that people who ask for help choose to throw a hissy fit and become obnoxious to the very people trying to help them, if they don`t hear what they want to hear. Screw this crap. Only use Windows 10 2016 LTSB. Or wait for the next version which should be late 2018 or early 2019. LTSB is the only way to go. Version 1809 has to many “official” bugs, Microsoft canceled it. Absolutely. It will remain free from now on. You’re the idiot. It will still upgrade from windows 7 to 10, at least know what You’re talking about before You insult someone.That’s totally uncalled for.